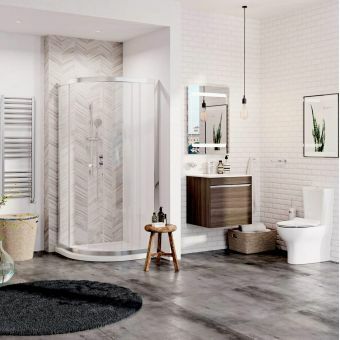 With an affordable price tag and a chance to create a bathroom with a single mouse click, this practical family bathroom suite possesses inherent beauty with unmatched performance. 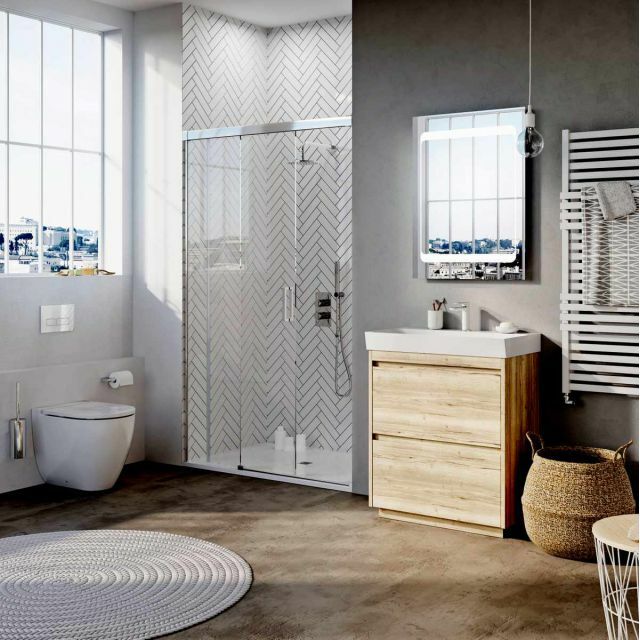 Placing the shower firmly in the centre of this collection brings a new and exciting dynamic to the bathroom. 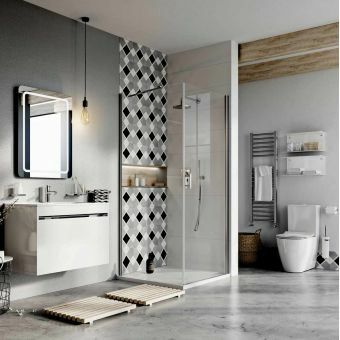 With a 25mm low profile stone resin tray included, sized at 1200 x 800mm, you will have plenty of room to enjoy your morning shower and with the exclusive Crosswater Design soft close sliding door shower enclosure cocooning you, it will fulfil your every expectation. The shower system is taken from the exclusive Crosswater Central collection. 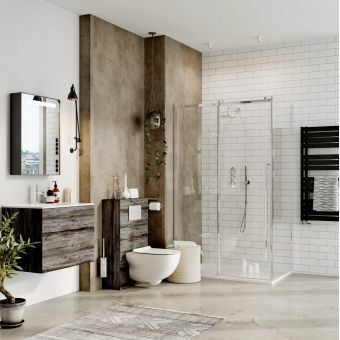 Combining a concealed thermostatic valve with an overhead shower and a separate wall mounted single mode handset gives you the best of both worlds. Enjoy the voluminous downpour from the 200mm wide shower head or wash down the shower after use with the nifty chrome hand shower. 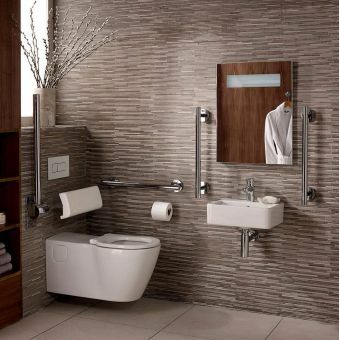 The classy Stream II back to wall toilet and soft closing toilet seat will create quite a stir, bringing an exhilarating mix of minimalism and inspiring innovation to the bathroom. 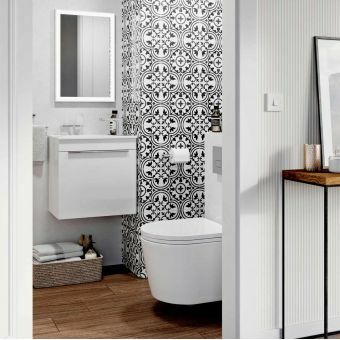 To allow you to inject your own influence into the toilet design, you can add your own choice of cistern and flush plate, personalisation is the key to creating your own space. 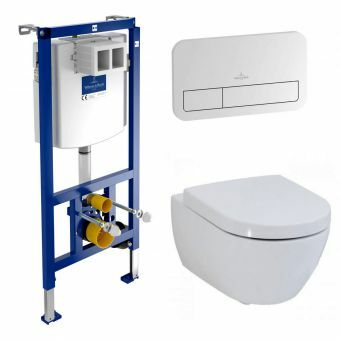 For added convenience, an MPRO toilet roll holder and matching toilet brush holder can be installed close by. 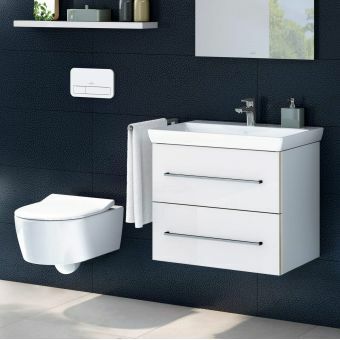 Storage can always be a problem in a busy family bathroom but with the Zion 700mm wide basin unit on hand, we can guarantee you plenty of storage space. Toiletries and towels will disappear into the two spacious soft close drawers. 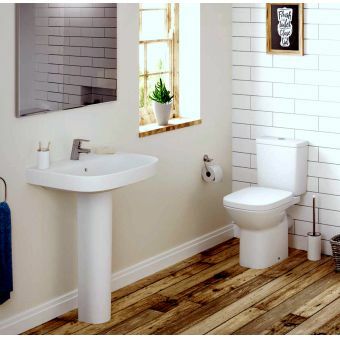 Supplied with a light oak finish this stylish vanity unit is topped with a dedicated semi-inset basin that shows off the white Pier basin mixer to its best advantage. The white theme is carried over to the Seattle white towel warmer that is supplied with contrasting chrome TRV valves for extra convenience. No bathroom would be complete without a mirror and the unrivalled quality of the outstanding Linea 80 mirror is reflected in its specifications. The generous dimensions of 600 x 800mm mirror glass are complimented by the inset low energy LED's that harmonise with its unique design. Add a demister pad to keep it free from steam along with an infrared on/off control, and you have the finishing touch that will turn your bathroom into a place that will surprise and delight.